In the glittery bustle of the holidays, teachers often scramble to fit in last-minute lessons and refocus students dreaming of vacation excitement. It’s worthwhile to pause in the middle of all that excitement to build in reflective moments of gratefulness. Yet without a clear plan to foster classroom gratitude, we risk missing the improved attitude, improved physical and psychological health, and enhanced social and emotional skills that giving thanks can bring. Positive psychology suggests that learning to be thankful has benefits that extend far beyond the classroom walls, including lifelong happiness. This year, I’m forgoing the shiny new pencils and sparkling bags of treats as student gifts. Instead, I’m opting for a few new classroom traditions that we can carry on long after the holiday sparkle has faded. Letter writing is an academic skill—requiring students to focus on a specific purpose and an authentic audience—but it’s also a perfect opportunity to get students thinking about who and what they should be thankful for. And there’s some solid evidence that letters of gratitude can improve happiness too. When University of Pennsylvania psychologist Martin E. P. Seligman studied the impact of people writing and delivering one thank you letter a month, the letter-writing participants quickly demonstrated an increase in happiness scores. While no gratitude routine is foolproof, a tradition of writing a weekly letter of gratitude is low-fuss and adaptable long past the holiday season. In my classroom, students pause each Friday to jot letters of thanks. Sometimes, we plan recipients of our gratitude letters together. One week, we might create a list of people who have positively contributed to our education or brainstorm about people who have cared for us in difficult times. Other times, students reflect independently on their lives and memories to find people to thank. Although students eagerly select letter recipients each week, a little in-class coaching can improve students’ gratefulness and their letter writing. I like to remind the middle schoolers in my classroom to consider the challenges their letter recipient might have overcome. Thanking a former teacher for great math lessons is an excellent start, but it’s even better if a student can point out the extra strain of getting students to focus during the very last hour of the school day. 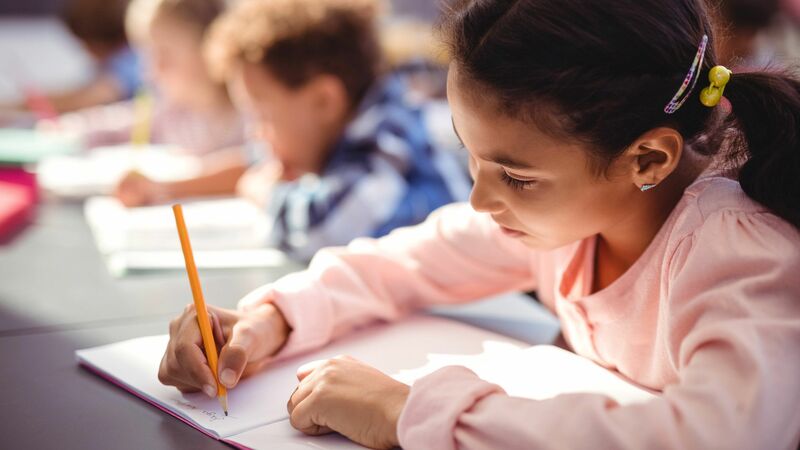 With just a pencil and paper, letter writing helps students create their own habits of gratefulness to carry on long after the holiday snow has melted. Thanking others is important, but it’s also essential to be grateful for our own life progress. This holiday season, I’m adding a contemplative tradition to our busy schedule. Growth journaling, where students write diary-like entries of reflection about their successes and improvements, pushes students to consider how they’ve changed and to reflect on the people who made their progress possible. Some studies suggest that writing about positive experiences—as one does in growth journaling—increases well-being by fostering a sense of gratitude. With a little holiday music jingling in the background, students find a quiet place to curl up with a notebook and pen. Their writing focus might be tiny: Some students pick moments where they used the correct words to respond to frustration or took a deep breath instead of reacting in anger. Other students reflect more expansively on a year of major academic growth or the accomplishment of earning an award in sports. Some days, students want to share a story of growth with the class, but other times their reflections are safely hidden behind journal covers. In the bustle of the holiday season, growth journaling adds a touch of calm and a tiny reminder that being grateful includes loving ourselves in the midst of progress. While gift exchanges will always be popular, less tangible traditions of gifting and gratitude can be a welcome classroom change. In many classrooms, teachers encourage acts of kindness by directing kindness assignments themselves. One teacher I know assigns students special agent names. She delivers manila envelopes with secret kindness instructions to all of her agents. One instruction might tell a student to write an anonymous note of encouragement to a student struggling with math, while another agent could get instructions to do some extra cleaning to surprise the janitor. Students jump at the chance to get sneaky with their acts of kindness. For a stress-free version of the kindness exchange, I have my students focus on noticing acts of kindness. Each time they see a particularly thoughtful or considerate action, they post a shout-out on a digital kindness wall. A link on a classroom website, a Google Classroom page, or even a simple Google Forms questionnaire that you occasionally share with the class will allow students to offer gratitude for a peer’s kindness. The students are not thanked by name—for example, “Thanks to whoever organized the bookshelf, it looks great!” The notes serve as written high-fives and pats on the back to encourage kindness to be contagious. Instead of worrying about classroom decorations or a memorable holiday party, I’m turning my focus to durable traditions of gratitude and thanks. This year, I’m trying to remember gratitude is a lasting gift that never wears out.